The “Because I Got High” singer was recently spotted performing in Biloxi, Mississippi on stage playing his guitar when a female fan joined him and started to grind on him. This action caused him to turn around and smacked her in the face. The force from the punch caused her to drop hard and appears as if she landed on something. 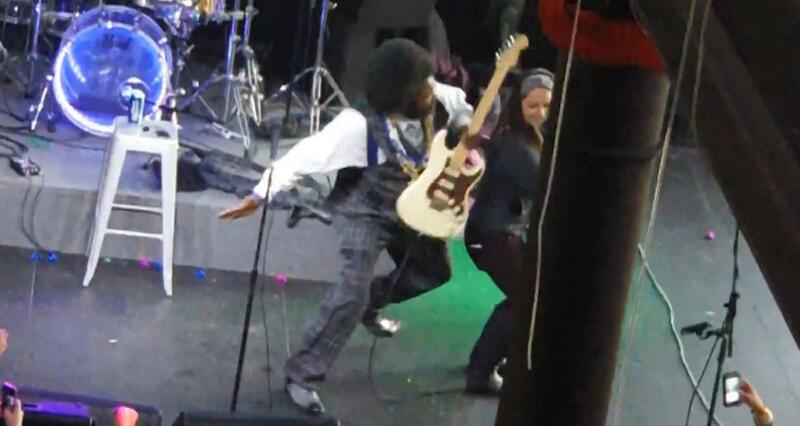 Afroman, whose real name is Joseph Edgar Foreman, continued to perform as the woman laid on the ground crying and bleeding, witnesses told TMZ. Security eventually helped her off the stage. Afroman was arrested outside the venue after the woman filed a police report. A rep said the singer didn't see the woman climb onstage and swung because she startled him. "This was a completely involuntary reflex reaction to people infringing on his stage space," Afroman's rep said in a statement to Billboard. He was released after paying a $330 bond.